Dojo Fitness – Get Fighting Fit! 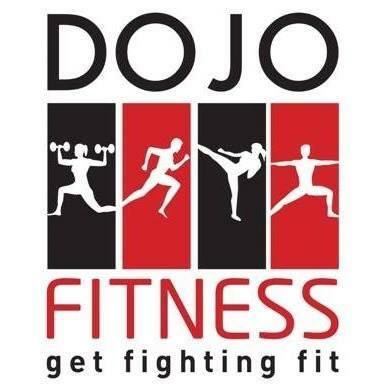 Dojo Fitness is a hub for group fitness classes performed in a Karate Dojo. Training is done barefoot on Tatami Mats which trains your stability right from the get-go. Together the classes are designed to give you an holistic training regime to improve your strength, speed, stamina, suppleness and stability. Whether your goal is to make everyday life easier, lose weight or push your athleticism, classes are flexible to cater all levels from beginner to exercise guru. At Dojo Fitness we offer a range of services including Group Fitness Classes and Personal Training. Our classes (Boot Camp, FIT2FITE and Yoga) offer you a balanced training regime while Personal Training can be used for individually tailored, training (weight management, event preparation, injury rehabilitation), goal setting and nutritional advice. Our Boot Camp classes are developed to improve the athletic performance of martial artists while also making everyday life easier by developing physical fitness and strength, range of motion and a positive attitude. Soul/Funky House music. A fun and upbeat way to learn fighting techniques and combinations that are versatile and stimulating. Like martial arts Yoga is aimed to help center yourself, body and mind. The exercises physically develop your core stability and suppleness, giving you better posture and range of movement. Feel rejuvenated! Membership at Dojo Fitness is easy as we have no fixed term contracts, no joining fees and we also offer a free trial group class so that you can give it a go worry-free. Options for membership include pay as you go, concession card or pay weekly/fortnightly/monthly. Choose the option that is best for you. The Gold and Silver pay weekly memberships, also include discounted Personal Training sessions so that you can combine your group class training with something more specific to you.